However, the truth is that gluten can actually be a good thing, and food makers often use it to boost the protein content of foods like breads and cereal. Gluten is a protein that’s naturally occurring in wheat, barley and rye, and it’s what makes dough stretchy, giving breads the texture we’re accustomed to. So is gluten really something that should be eliminated from your diet? It depends entirely on your physical condition, in that if you’re part of the 1 percent of Americans with celiac disease or the 6 percent with gluten intolerance, then yes, you should avoid gluten at all costs. And since there’s no cure or medication to treat celiac disease or gluten intolerance, then following a gluten-free diet is the only remedy for either condition. But is following a gluten-free diet simple? Well, not exactly. 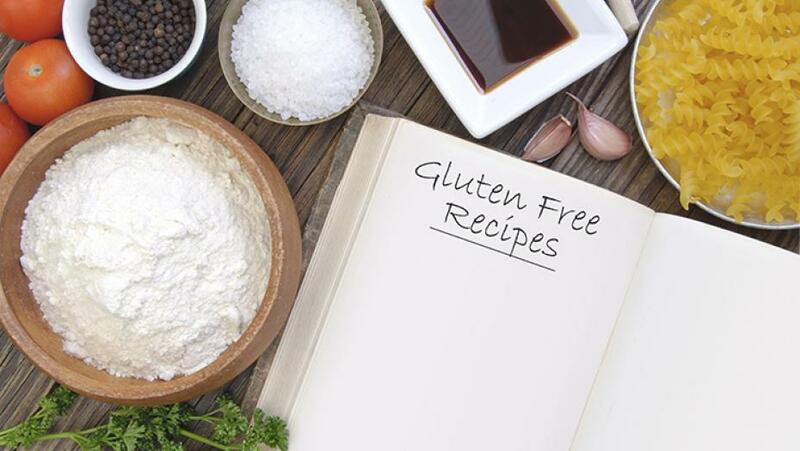 Eliminating gluten from your diet isn’t as easy as just avoiding wheat, barley and rye. The truth is that all forms of wheat are off-limits, including durum, semolina, spelt and couscous. White bread also still qualifies as wheat bread. Plus, gluten can also be found in some of your basic condiments such as gravies, soy sauce, and salad dressing, plus even in some of your regular favorites such as beer, deli meats and veggie burgers. So what should you look for when shopping for gluten-free products? First of all, it’s important to keep in mind that many of the gluten-free stand-ins for breads, cereals, crackers and other grains are not packed with as many nutrients as their gluten-containing counterparts. This is due to the refined grains that they contain which are often used as core ingredients such as potato starch, tapioca starch and white rice flour. Therefore, it’s important to look for gluten-free, grain-based products that contain fewer processed grains. Look for products with ingredients such as whole quinoa flour, whole buckwheat flour, whole amaranth flour and brown rice flour. Are there any food items you can incorporate into your gluten-free diet other than pricey gluten-free specialty items? Fortunately, you don’t necessarily have to break the bank in order to enjoy a gluten-free diet. There are many unprocessed foods that are naturally gluten-free that you can add to your meals such as beans, quinoa, sweet potatoes and most corn tortillas, in addition to nuts, eggs, meat, fish and poultry. Just be sure to avoid pre-marinated, seasoned or breaded versions, unless they’re specifically labeled gluten-free. Also, to help make your gluten-free quest a much simpler one, take advantage of online resources and websites such as cdfresourcedirectory.com that provides brand names and links to all things gluten-free, everything from baby formula to medicines to even cosmetics. So once you’ve stocked up on your gluten-free products, you’re good to go, right? Well, not necessarily. One other important thing to remember is that cross-contamination can still happen if these foods come in contact with foods that contain gluten. Therefore, it’s important to be adamant about keeping your counters clean, in addition to thoroughly washing any cutting boards and utensils that have been used to prepare any gluten-containing foods. Also, store gluten-free products in a separate area, and consider having designated gluten-free appliances, like toasters or toaster ovens, to prevent cross-contamination. To gluten or not to gluten: that is the question. After considering all the restrictions and planning involved in following a gluten-free diet, if you don’t have celiac disease or gluten intolerance, it’s best to say that following a gluten-free diet is unnecessary. But for those who do benefit from gluten-free living, it’s important to remember that just because something says it’s gluten-free, it doesn’t automatically mean that it’s nutritious. Therefore, don’t forget to check the ingredient list closely, and look for products that are made with fiber-rich whole grains and are low in added sugars. For more details on this topic, read Molly’s full article on NOLA.com.